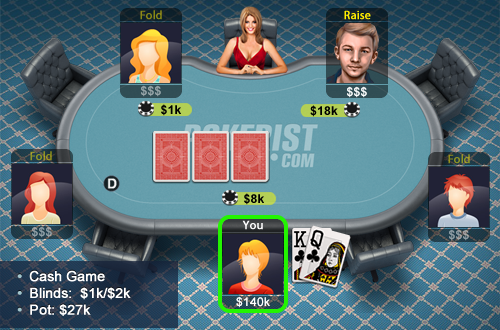 You’re playing a 5 seated $1K/$2K cash game with a $148K chips. You are holding KQ of clubs in the cut-off seat and everyone has folded to you. You raise to 8k and the big blind raises to 18K. He has approximately the same stack as you.